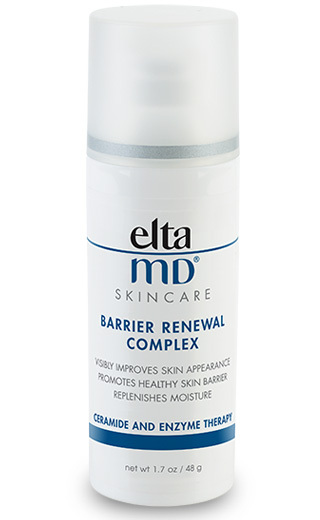 EltaMD Barrier Renewal Complex visibly improves skin appearance, promotes a healthy skin barrier and replenishes moisture. Within 24 hours after a single application results can be seen. The formula targets fine lines and wrinkles, skin texture, and pore size. This is a dermatologist grade blend of ceramide, (Fatty Acids) and other essential lipids, enzymes and vitamins. 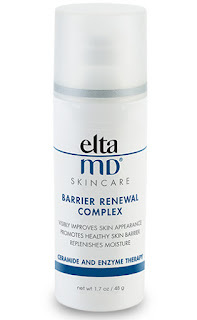 Barrier Renewal minimizes inflammation and promotes skin cell turnover. Apply morning and night to face, neck and chest. In the A.M. follow with an EltaMD sunscreen.